Chairman Ferreras-Copeland, and Distinguished Members of the Committee, on behalf of Iraq and Afghanistan Veterans of America (IAVA) and our more than 400,000 members, I would like to thank you for the opportunity to testify here today. My name is Ashley Wegmann. I am a Licensed Master Social Worker (LMSW) and a Veteran Transition Manager (VTM) with IAVA’s Rapid Response Referral Program, or “RRRP” for short. RRRP is IAVA’s high-tech, high-touch referral service for veterans and their families with a complete and comprehensive case management component. We assist veterans from all eras, with any discharge status, as well as their family members/caregivers. IAVA’s RRRP team based here in New York, is staffed by masters-level VTMs – case managers who assist veterans worldwide in confronting significant challenges such as unemployment, financial or legal struggles, homelessness, and mental health related issues. The stressors that veterans encounter are frequently financial, and in serving veterans we have seen firsthand the positive effects that targeted tax relief and tax incentives have had in improving their lives and easing their transition to civilian life. RRRP has been able to provide a safety net capable of meaningful intervention to help stabilize both our national and New York City clients and their families in times of crisis, ensuring that transitional issues do not spiral into more severe hardships. Since December 2012, RRRP has served a total of 8,354 veterans nationally, including 1,163 in New York State, 241 of whom reside in New York City. I will focus our testimony today on the specific veterans tax proposal under discussion in this hearing, the IAVA-supported Intro. 6880. This legislation would expand the school taxation exemption passed within the Alternative Veterans Exemption to the older Eligible Funds Exemption for veterans. After thirteen years, IAVA has become the preferred empowerment organization for post-9/11 veterans. While our members and clients are spread throughout the nation, we are proud to say that our national headquarters is located here, in New York City. The housing tax incentives that veterans receive are especially important as they help veterans establish homes, which in turn help them build their lives after their military service. The older Eligible Funds Exemption was established to reduce the assessed value, i.e. the dollar value assigned to a property to measure how much it is taxed, of a property that a veteran purchased with “eligible funds” that the veteran received after being discharged from active duty. These eligible funds can include a veteran’s pension, any bonus or insurance funds, prisoners of war compensation, mustering out pay, and others pays for up to $7,500. This exemption stopped being available when the Alternative Veterans Exemption was adopted in 1984, with those who still receive it essentially being grandfathered into the Eligible Funds Exemption. for a 15% reduction in assessed value to veterans who served during war time and an additional 10% assessed value reduction to veterans serving in combat zones. For veterans with service-connected disabilities there is an additional assessed value reduction that is equal to one half of the veteran’s disability rating. Earlier this year, legislation was passed that allows veterans who receive the Alternative Veterans Exemption to also be exempt from paying school taxes on their homes. However, this provision was not provided to veterans still using the older Eligible Funds Exemption. Intro. 6880 would address this issue and allow veterans that fall under the Eligible Funds Exemption to be exempt from school taxes as well. It is for this reason that IAVA supports Intro. 6880. IAVA has long advocated for tax policies that work to empower veterans and their families. Examples of some of these policy proposals, included in IAVA’s Policy Agenda, include: 1) Providing tax credits that reward businesses for hiring unemployed veterans and wounded warriors, 2) Providing tax credits to patriotic employers who pay the difference between a Reserve or National Guard member’s civilian salaries and military wages when they are called to active duty, and 3) Allowing taxpayers to designate a portion of their income tax payment to provide assistance to homeless veterans. In addition to Intro. 6880, we encourage this committee to introduce proposals similar to the tax proposals within IAVA’s Policy Agenda. Given the challenges that veterans encounter when transitioning from military to civilian life, it is vitally important that we are putting forth policies that allow veterans to establish homes during and after their military service. Members of the Committee, thank you again for the opportunity to share IAVA’s views on this legislation today. I look forward to answering any questions you may have. Ashley Wegmann, LMSW, is a Veteran Transition Manager (VTM) with IAVA. 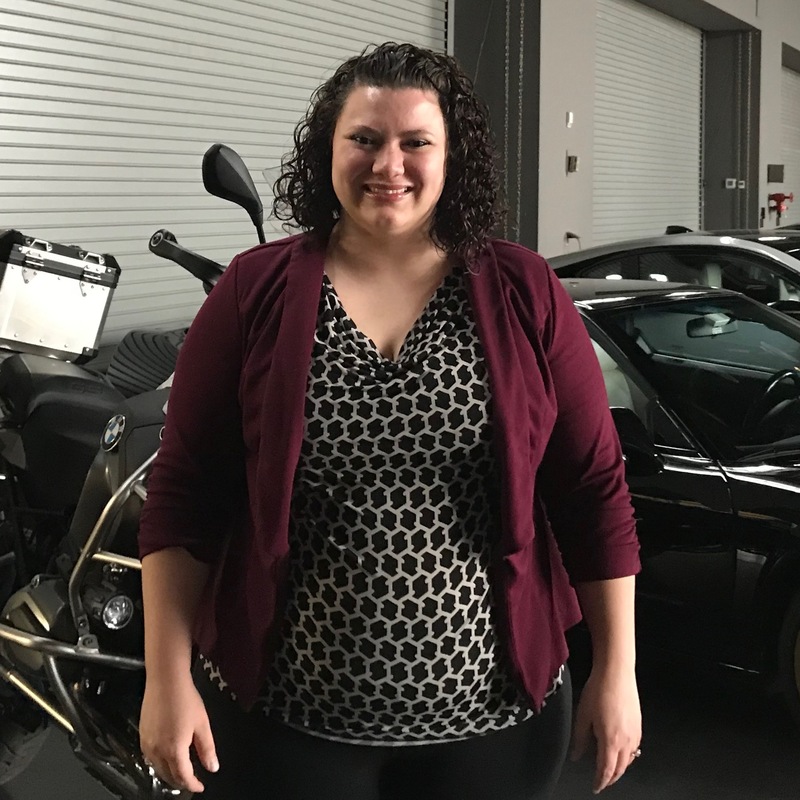 As a VTM, Ashley provides referral services to veterans and their families to address a wide variety of needs including: health, mental health, housing, employment, financial, legal, homelessness, education, and community support. She provides client-centered case management services and advocacy while empowering veterans and their families to reach their goals. Ashley holds a Master’s of Social Work degree and a certificate in Animal Assisted Social Work from University of Denver, and a BS in Biology and Sociology from Stony Brook University.